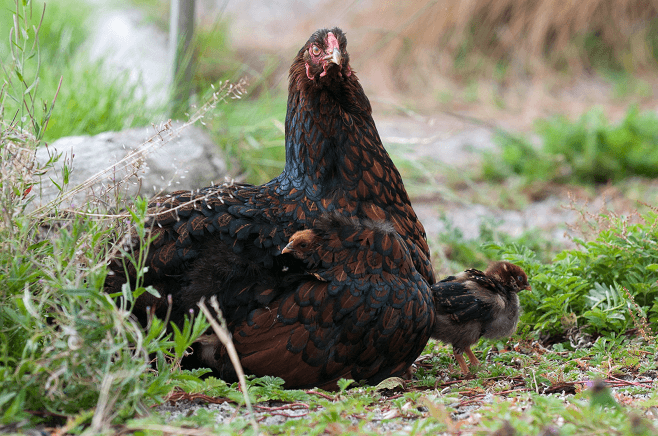 As springtime rolls around again, we will all doubtless see articles on how to break a broody hen, but why should you need to? 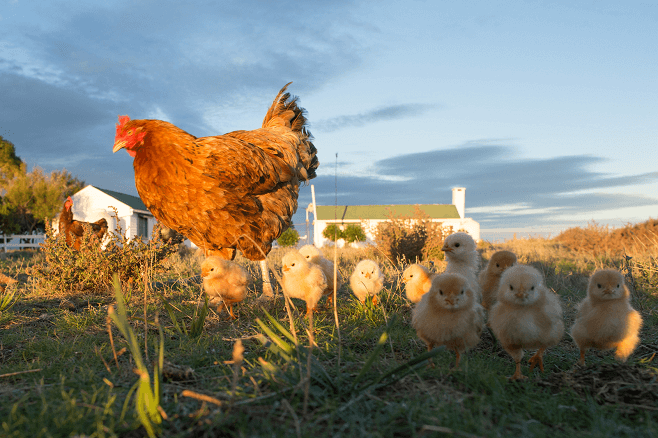 A hen is the ultimate top choice in incubation and rearing of chicks, so why do many people choose to not have broody hens around? The motherhood instinct is triggered by the increasing daylight. A hormone shift causes the hen to ‘set a nest’, she will then lay an egg daily – she may even steal from a nearby nest until she believes she has enough to sit on. Then, she will sit on those eggs for twenty one days until the chicks emerge. 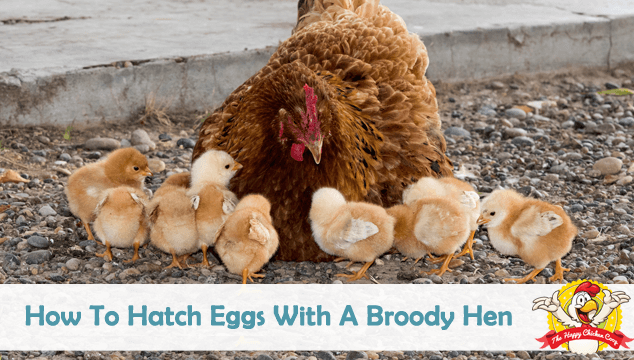 This article is about my experience with them and some do’s and don’ts of the broody hen. 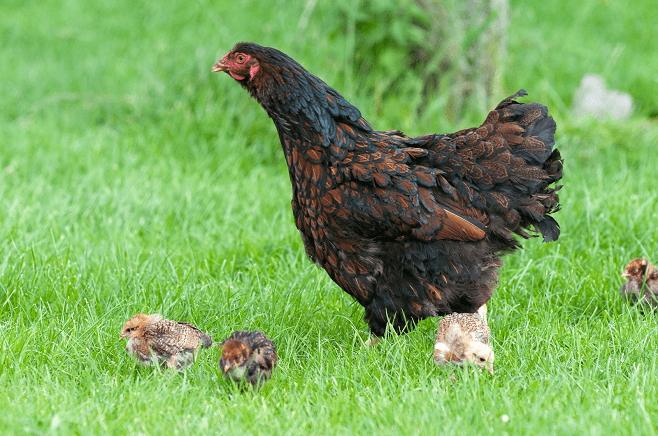 Certain breeds have a tendency towards broodiness – Cochins, Orpingtons, Silkies and Australorps come to mind, but there are several others. If you are buying for breeds that are not usually broody, be aware that they still can go broody on you. Rhode Island Reds are not known for their broody ability, but three of mine decided to turn broody this past year! Last year was my first year with broodies – a deliberate choice for the bantam Barbu D’Uccles. What wasn’t planned for was the ‘infectiousness’ of broodiness! Three of my Rhode Island Reds and one Barnvelder decided they would go broody too. The only problem was that their eggs weren’t fertile! I gave some excess bantam eggs to one of the big girls and she successfully hatched out two chicks. I also had the good fortune to win some hatching eggs, so they were given to the big girls too and they managed to hatch out six Welsummer chicks. If you intend to use the broody to hatch your eggs, make sure they are fertile. If you have a rooster handy that’s easy to do, if you don’t, buy some hatching eggs and slip them under the broody. She may not accept them, so have your incubator ready! 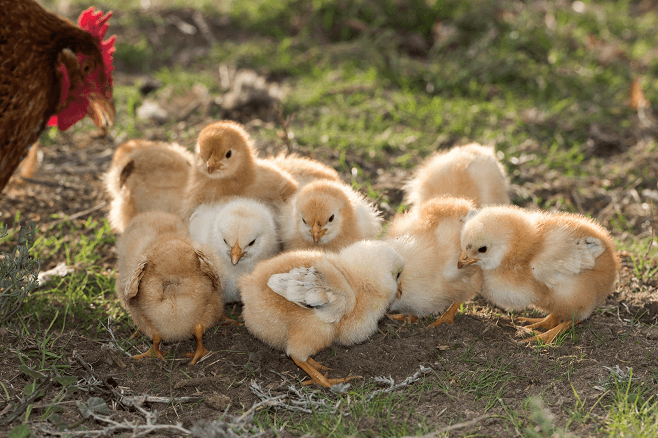 Let’s look at what to expect when a hen turns broody and hatches chicks. First, you need to know if she is broody, but how do you tell? There is no mistaking a broody hen! She will flatten out over her eggs, puff up her feathers to look intimidating and give you the chicken growl. If you insist on checking her eggs she may peck you, so wear protective gloves if necessary. If she leaves the nest to eat or drink, she remains ‘bad-tempered’ and fluffed up – the other hens keep their distance from her usually, if they don’t she will growl at them. 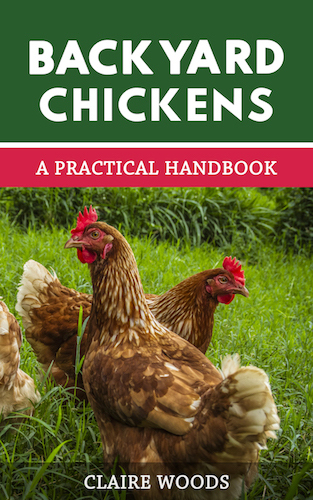 All smart hens and roosters will back away from a growling broody…. She may continue to steal other eggs too, try to keep up with how many eggs she is sitting on, more than a dozen is not uncommon. She should be limited to how many she can comfortably cover. Once she is broody you will need to keep track of her. Dating the eggs is a way to keep track of the ‘due date’ of hatching, it’s also a good way to check whether the eggs are viable or not. I use a pencil to mark the date on the eggs. All but one of my broodies’ was tolerant of me checking and dating the eggs under them, I’m very fortunate. Some hens’ will abandon the nest if they are disturbed frequently, so disturb them as little as possible. I try to candle the eggs once at ten days, but sometimes Mama is not having it. If this is the case with you, try dating and candling after they have gone to bed – it’s a bit easier. Alternatively, it really isn’t compulsory to candle the eggs – you will have a surprise on hatch day! What Happens During Her Broodiness? A broody will sit on her eggs twenty one days. She will then nurture and care for her chicks for another four to six weeks after this. She will likely take over her favorite nest-box for brooding. This means some of the other ladies are going to be upset. There are a couple of ways to deal with this – either move her and her eggs to a special area, or place some new, temporary boxes for the other ladies. Personally, I leave them where they are in case she abandons the nest – most broodies’ like to stay put apparently, so moving her could prompt her to leave the eggs. Broody hens are generally very dedicated to their nests. Occasionally you will have a hen abandon her eggs. If the eggs are still warm and you have another broody on-hand, you can try slipping the eggs under her and see if she will accept them. If she won’t, this is the time for your incubator to be cleaned and fired up. I keep mine ready to go, just in case. If Mama kicks a single egg out of the nest it’s usually for a good reason – it might be non-fertile, died in shell or some other problem. In this case Mama really does know best. During the next twenty one days Mama will guard that nest, fluffing out her feathers to look fiercer and bigger than she is, she will growl and she can also deliver a mighty peck – so beware! She will keep those eggs warm, plucking her chest feathers so the eggs can be next to her skin, and turn them as needed. This can be a very real problem for some broodies’. Once they ‘set’ their nest, they will generally leave it only once a day to eat, drink, poop and a quick dust bath, then back to work. Some broodies’ are fanatical and won’t leave the nest to eat and drink. This happened with Rosie a year old Rhode Island Red. She started to look awful, feathers were ragged, she lost a lot of weight and it was very hot too. I worried about her dying on the nest. My solution was to mix a small handful of eighteen per cent pellets with some water, added vitamins and electrolytes making a wet mash. I would put this in a small dish and feed her on the nest twice a day. Apparently, she enjoyed the maid service because she would be looking for me every day for her feed! After a few days, she decided to go and take a dust bath, take care of business and return to the nest. We kept up the feeding until she hatched her chicks, then gently moved her to a better spot for the chicks. It has been estimated that a broody hen will decrease her nutritional intake by up to eighty percent! I can well believe it – the ladies look very ragged and tired after brooding. What Happens After The Eggs Have Hatched? After the 21 days are up your chicks should have hatched. Most hens are great mothers, but occasionally a hen will kill or severely injure her chicks, no-one really knows why, perhaps the chicken equivalent of post-partum psychosis, or perhaps something is wrong with the chick. Be observant for the first few days, after that she should be just fine with them. In fact, she will likely be fiercely protective of them and the other chickens had better steer clear of her brood! She will also keep the chicks warm and safe for those first few days until they get to be curious and start exploring their world. Mama Hen will always look out for her chicks and keep them safe from her flock mates and other perceived dangers. If she does try to attack or kill her chicks, they must be removed for their safety and placed in a brooder unless you have another hen that is willing to take them. Integration is a breeze when Mama does it! The other hens will give her and the chicks a good deal of respect and space. Once Mama signs off on them (around ten weeks or so), they have to fend for themselves, but they are large enough and savvy enough to be evasive by then. Would I do anything different next time? I really don’t think so. The hens’ did a fine job of raising some splendid little chickens that are now producing their own eggs. On a note of caution – I had one hen who insisted on using a box outside of the coop. She would not be moved and was very aggressive if you went near her. Her routine was to wait until every other bird had been put to bed and she would then go out to the compost heap for dinner. One morning I went to check on her and she was nowhere to be seen. I found a pile of feathers by the compost – a fox or raccoon likely killed her. The moral of the story is to try and keep your broodies’ safe inside the coop if you can. A broody hen is somewhat distracted, so can be easy prey for a hungry predator. I enjoyed watching the progress of the chicks with their mamas’- they seemed to take everything in their stride and were taught all they needed to know. I think this made them more confident around the other flock members. In future, whenever possible I’m going to utilize my broodies’ and keep the incubator for back-up. I’m already looking forward to this season of little peeps! Beware! Having little chicks around is addictive! Wonderful article! I hope to try this someday. what a wonderful, reassuring article! I am a first timer and my black australorp went broody 4 weeks ago. After 7 days of trying to move her off the nest I gave up and collected 6 eggs from the flock (we have 1 buff orpington rooster, a buff orpington hen and a cochin hen as well as the australorp) She has been sitting on those eggs in a zen like state and left the nest only once! I noticed then that there were only 5 eggs, so one was bviously not viable and she must’ve eaten it, shell and all! Now she is due to hatch tomorrow! And last week my cochin went broody. I have had 12 cochin eggs shipped to us and tomorrow I will be setting her on those. It’s all so exciting! And the broodies make life so easy – really you can just set the eggs under her and then forget about them. Just remember to leave food and fresh water every day within reach of the nest. I have also put vitamins and electrolyte mix in the water to try to help keep my broodies healthy during their maternity 3 weeks. I just this past Wed and thurday had one of my same hens hatch out her second clutch! Last year only 2 hatched, this year 6. We have a part of our coop where we keep her and the eggs seperate once I know she’s serious about having chicks. Friday she had them outside already teaching them the ways 🙂 My chickens free range but they also have a fenced in area when I don’t want them out though I have some young ones that jump the fence. Yesterday I ordered an incubator but I am afraid to do it myself! hahaha So we will see if it get’s any use. I like letting mama hen do the work. she knows better then me. Thank you so very much. This article is very helpful as I was so concerned that Gustl (my Broody) would starve. Thank you again for this great information. I’ve had several hens go broody over the years and I get fertile eggs for them. I mark each egg because when the hen goes out to eat, etc., one of the other hens will get in her nest and lay an egg so I have to check daily and remove that egg. A couple times none of the eggs hatched so I had to find day old chicks to put under them. I did this at bedtime and the hens raised the babies. The last ones were five day old bantams and she still raised them. If the chicks are being raised with the rest of the flock by the broody, what about feed? Is chick starter fed to everyone or is mama like other birds and mouth feeds the little ones? wonderful article…!!! 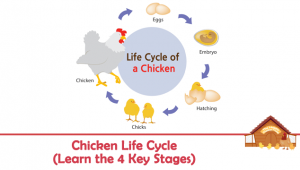 very informative, Im hoping to find a great broody hen to hatch some chicks this year , im looking for a white silkie hen for my broody lady and plan to build her a dream home of her very own, she will live like a queen..! any one who has a white silkie very broody hen for sale let me know , I will truly love her..! and she will have a very special loving happy home. cant wait to find my special silkie mama hen..!! I have a broody Buff. Last year when I put what I candled and thought were fertile under her. She rejected the quail eggs. When I clearly marked eggs I still had several issues. 1) they rubbed off the marking, and sometimes after a rainy day they got muddy too so I couldn’t see the marking. 2) they kept laying eggs in that nesting box and because of point one I couldn’t tell difference. 3) eggs would mysteriously disappear. So this year I am trying 2 ideas. 1) putting candled eggs with my broody hen in a dog kennel with lots of hay and sawdust in it and food and water for her. 2) I live offgrid so trying to see if I can get my incubator to work round the clock to hatch eggs. Question: since broody hen is separate from other hens and rooster, when she has her chicks can I just let them loose in the coop? Maybe put the kennel in coop if they need it? Thanks. The incubator failed because I live offgrid and the temperature fluctuated too much. The broody hen ate or destroyed all 20 of eggs I put under her. I am so frustrated! What other hens make good broody hens? Trying to find another way to incubate eggs since I can’t use incubator right now (need a generator I guess). Any ideas? My young Australop went broody and hatched one chick. She is an awesome mother! Hello and thank you very much or all of the fantastic information on this site! 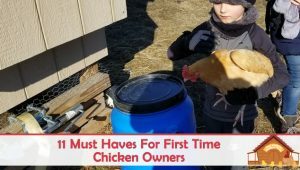 We have relied heavily on this site since the very beginning of our adventure into owning chickens! I have a hen that has been laying on her eggs for 10days now. Couple of problems. 1) all the other hen insist on laying eggs in her nest where she has been laying. 2) our laying hen and another hen got into a conflict , when I went to check the naughty hen pecked into the embryo egg. Sadly. It was badly broken and embryo was visible and cold. Problem now, is the naughty hen has been caged but is doing all she can to go disturb the other hen and her nest. I need help suggestions…. Baby chicks are DEFINITELY ADDICTIVE!! I now have 15 (ranging from 1.5 yrs to 4 months) I think one of my older hens is going broody. I want her to have babies if that is her desire, so I am going to order 12 fertile eggs for her. I don’t have an incubator and I don’t really want to go that route. So it is going to be whatever it is. If she accepts the eggs and hatches them, then I’ll have more babies. And if not, then it just wasn’t meant to be. I just want my girl to be happy!! Loved the article. This my first time hatching chicks. I have been around chickens all my life, but have just started with my own, about 1 year ago. Random chickens, given, bought, etc. Several fell victim to possum, so I have 1 HUGE white chicken (been told she is a “meat chicken”, but was supposed to be a leghorn). She is so big, she cannot walk. Literally, she takes 2 steps and props down, but seems to be happy and otherwise healthy. She is Henrietta. I have 1 black bantam, Claire. Beautiful! Has a blue/green sheen to her, in the sun. 2 D’Uccle. Tot and Ram, hen and rooster. Adorable! My heart belongs to them all, but 2 Serama hold a little bigger piece! Billy and Susie. Billy tries to breed with everything! He thinks he is breeding Henrietta, but only sits on the base of her neck! Too cure. Heart of an eagle! 4 weeks ago, Susie disappeared. I was heartbroken, just knowing a hawk had made her a snack! She showed back up and disappeared several times that 1st week. I finally realized, she is setting! Once I found where, I tried really hard to leave her be. The 1st time I looked at her, she was fluffed up, perfectly still, and pecked me when I rubbed her head. I have been concerned. Why are there no chicks yet? I know she was bread, I saw it several times. Today, I couldn’t take it any longer. While she was out eating, I took a peek. 8 EGGS!!!! My worry is how long have they been there? She isn’t physically able to sit on them all. So, are they bad by now? The 1st time I looked in on them, I didn’t see anything, and now, 8? I have no way of knowing how old any of them are. How long should I leave them? Should I retrieve them and try to incubate? Should I move her somewhere where I can see her better? Or should I just leave her alone and let nature take its course? If they go bad, will she naturally destroy them or abandon them? I have a friend that said if the eggs have stayed cool, you can hold onto them for about a month and then incubate them all at once. Is that true? Will I ruin her if I take her eggs? It is still early spring for us, no days over 60 degrees, and maybe only 2-3 of them. Average has been more like 40-50. I want serama babies so bad! What do I do!? My gut tells me they are bad, but I’m not willing to give up on them totally, yet. Thank you in advance!